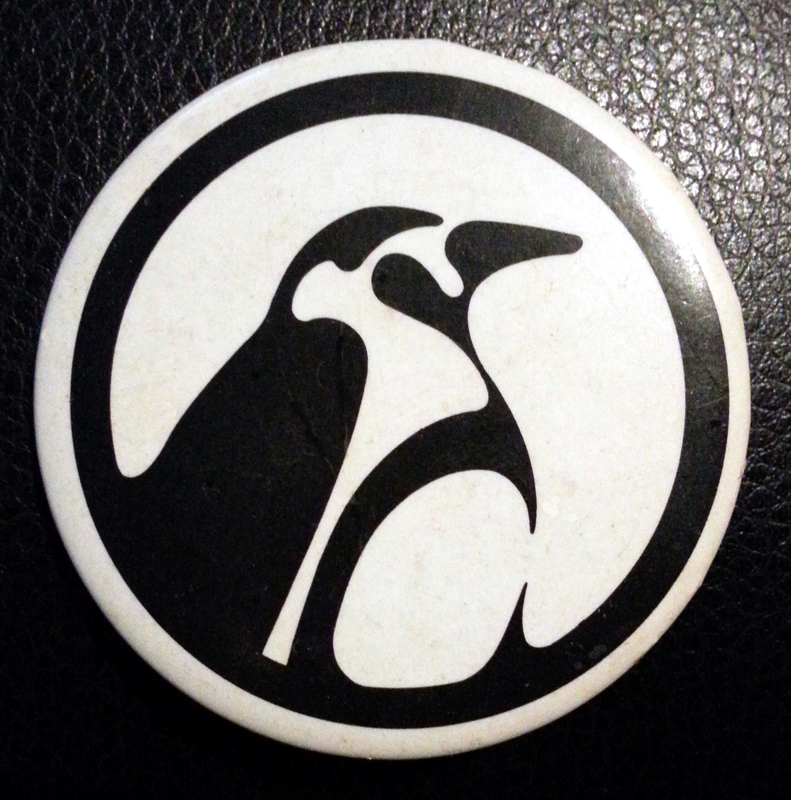 In 1986, I had the pleasure of working with some very special members of Philadelphia’s LGBT community to produce a “Spring Fling” fundraiser for what was to become Penguin Place. At the time, ours was a Community Center without walls. Spring Fling was held at the Mask and Wig Club (located on south Camac St.) I will never forget the Spring Fling or the months of planning that led up to it. Each of us made a special contribution. We had battling DJs, planned “spontaneous” entertainment that seemed to manifest out of nowhere (think “flash mob” but with jugglers, magicians, and musicians), and brilliant slide show presentations that were revealed on a rear projection screen behind a beautifully painted stage backdrop. I was working as an AV technician at the time so my contribution was the rear projection screen, the slide projectors, lenses, and animation fader which I borrowed from work. I have always regretted that I didn’t get to know Bill Way better. In our short friendship, he was very supportive and encouraged my creativity. Shortly after Spring Fling, I left Philadelphia for a new job out west. By the time I returned, Bill had died. Penguin Place was a reality and had a permanent facility just two blocks north of the Mask and Wig Club. The New organizers had taken Way’s dream to the next level and was serving the community. That the William Way LGBT Community Center has been in it’s permanent home at 1315 Spruce St. for nearly two decades is a testament to the work and dedication of the community. I think about William Way and that odd bunch of people who inspired me to get involved in my community. It was a very brief moment in my life but it reflects the very best of the LGBT community. As we just saw with Marriage Equality, when we work together the possibilities are endless. In honor of Martin Luther King Jr. Day of Service, I thought I’d say a few words about allies. I can only speak from my own life experience. I am a gay, while male. That is the perspective from which I see the world. When it comes to *people of color, the best I can do is empathize and remember that it’s not always about me. ❇When I say “People of Color”, I’m referring to all ethnic and/or non-white people. Essentially, the majority of people on the planet. As a gay man, I can easily empathize with any oppressed persons. There are laws prohibiting my very existence. Anti-gay violence is everywhere. It would be easy to compare it to the horrors inflicted upon African American families throughout the history of this great, yet flawed, country of ours. But I have the luxury of never having had my family torn apart and sold as chattel. No one in my family ever risked their lives just to sit at a lunch counter. No one in my family was strung up in a tree and left to die because (s)he misspoke. None of my family was burned out of their home because they moved into a neighborhood with better schools. Allies don’t always get it right. The job of an ally is to support and give voice to those whose voice cannot be heard. Unfortunately, we sometimes get so caught up in our own BS that we forget to step aside and give up the spotlight. I’ve been fortunate to have had good friends and lovers who have had the patience and fortitude to put up with my BS, and show me when and where I was wrong. I didn’t always like it. At times I was downright insulted. How dare they say I’m just as racist as…? Live and learn, right? The point I’m trying to make is this. When you hear black folks expressing displeasure about white folks, for any reason, remember it’s not necessarily about you. It could be, but chances are they’re trying to tell you something. All you have to do is shut up and listen. It’s not your job to say anything. Just listen. Though not the 1963 Pre-March on Washington episode that was rebroadcast Sunday morning, it’s interesting to note how some of those attitudes still persist today. Some on twitter likened it to watching Sean Hannity, Rush Limbaugh, or even Bill O’Reilly in 2013. It’s true that we have accomplished much since the 1960s. There is more representation of people of color in positions of power. But there still remains a stubborn thread of ignorance that prevents America from fully being the “Land of the Free” that it purports to be. I am angered and sickened beyond belief! This is 2013 folks! Are we about to see a repeat of early 20th century eastern Europe?? What’s next, rounding up all the LGBT folks again like the Nazis did in WW II? (By Maria Young for RIA Novosti) – A group of gays from Russia and the former Soviet republics living in the United States has a message for gay athletes and others planning to attend the 2014 Winter Olympics in Sochi: Don’t go.